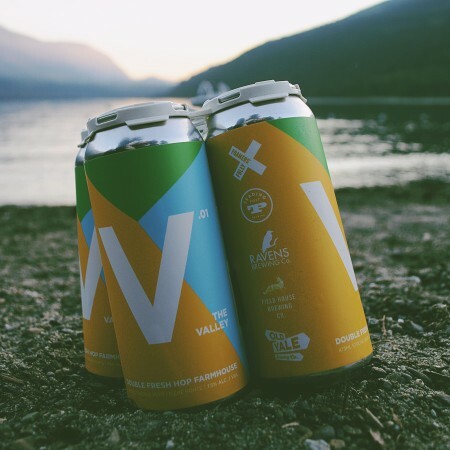 CHILLIWACK, BC – Old Yale Brewing has announced the release of a new collaborative fresh hop ale brewed together with four other Fraser Valley breweries, including Foamers’ Folly Brewing, Trading Post Brewing, Ravens Brewing, and Field House Brewing. Brewed with a Belgian Saison yeast, Chilliwack River Valley Honey, and double dry-hopped with fresh Abbotsford-grown Sasquatch Hops from Hops Connect, the Collaboration Farmhouse Ale is floral with a hint of spice and a delicate finish. The Valley is available now in 4-packs of 473 ml cans at the Old Yale retail store, and will be shipping soon to select private liquor stores in British Columbia.